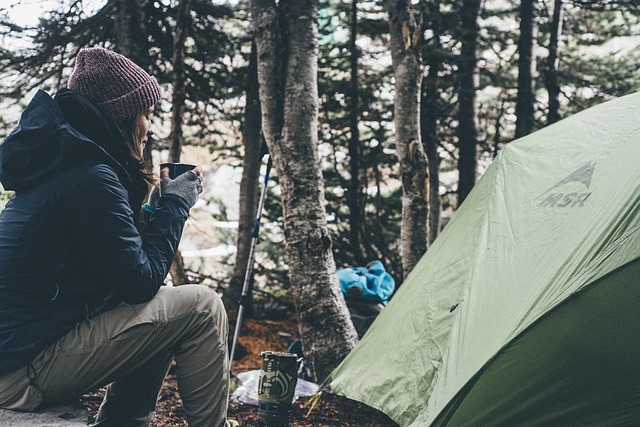 6 Best 10 Person Tent for Camping Reviews 2019 | Is Coleman The Best For Your Family? We have recently reviewed our 10 person tent selections and determined that the Ozark Trail 10 person test is the best selection for your camping adventure. It has great reviews, 3 rooms and is a great size at 20 x 10 . Another good selection is the CORE 10 person tent. It's not quite as large as the Ozark trail brand but it is a good size and highly rated. Below, you'll find multiple large camping tent options that would be a great fit. It seems almost unfathomable that there could be a tent that comfortably sleeps 10 or more people. In fact, there are many manufacturers that have camping tents for large groups. These tents are great for extra-large families, scouting groups, retreats, reunions, and other group trips. This post will outline our favorite 10 person tents as of 2016. These tents are durable and come with rain flys to keep the rain out. Multiple windows and doors with mesh coverings let the fresh air in and keep the bugs out. Detachable room dividers help separate spaces for privacy when needed. Interior pockets and gear lofts provide storage spaces for personal items and organization. If you’ve ever tried to set up a retreat or gathering for over 10 people, you may have been shocked to learn the cost of renting a large home that houses 10 or more people in the same living space. Perhaps you hadn’t thought about the benefits of taking the group on a camping outing. Not only is camping a cost-effective way to house a large number of people for short periods of time, it’s a trip that fosters a sense of cooperation and working together. One of the best things about cohabitating in small spaces is that it gives you an opportunity to develop deeper, more meaningful relationships. Camping in large groups requires a little planning and coordination. When it works well, people let their guards down and strong friendships form. Tents that are designed for 10 or more people create a rich environment that lets larger groups to intimately explore and experience the outdoors in a mutually gratifying way. If you want tents for less people check out this article for reviews of 8 people tents, or this one for 6. Luxurious camping is also getting more popular for large families. If you want to camp without leaving the niceties of city life, check out these best glamping tents. This is a super large tent that has a D-shaped door with a hinge on one side. The mesh roof provides a great view of the sun while keeping nasty bugs out. It is made with Coleman’s exclusive WeatherTec System that keeps water out. Color-coded poles and continuous pole sleeves make this an easy-to-construct tent. It actually fits 3 queen-sized beds! It also comes with a 1-year limited warranty. This tent is not only large, but it has an amazing design for large groups. It has one center door and two side doors which make it easy for several people to get in and out at the same time. It has six windows all around for excellent ventilation and panoramic views. It fits three queen-sized beds with room to spare. It measures 10’ x 20’. This is a spacious dome-styled tent that sleeps up to 10 people comfortably. It has large mesh roof vents and side windows to allow air to circulate. It has two large D-style doors. The hooped fly frame is patented and adds protection against the rain. It sets up easily and stores away in the Stow n’ Go duffel system. This is a grand tent that sleeps 9-10 people. It has two separate rooms and two doors. It also has three mesh-covered windows for excellent ventilation while keeping the tiniest of insects out of your sleeping space. The floor has an anti-fungus coating which is great when you have so many people in a small space. Stake on the waterproof rain fly to keep everyone happy and dry. This is an expansive tent with 160 square feet of floor space. The center height is a tall at 93”. It has 2 doors and 3 mesh-covered windows. It comes in an attractive tan and khaki color with a bright red rain fly to help keep rain away from campers. The set up is amazingly easy for this extra-large tent. Ozark manufactures this uniquely-designed system that brings three tents together in one connected system. It’s constructed of sturdy polyester with a polyethylene floor, and yet it only weighs about 24 lbs. It has seven doors! It also has 4 windows for excellent ventilation. Inside, it’s cleverly designed with three interior mesh storage pockets and three separate gear lofts. This large tent is truly one of a kind. It’s amazing to think that 10 or more people could fit comfortably in the space of a tent. It’s even more amazing that many of the designs are so easy and fast to set up and take down. These large tents have everything you could want or expect for a rewarding camping experience for your large family or group.